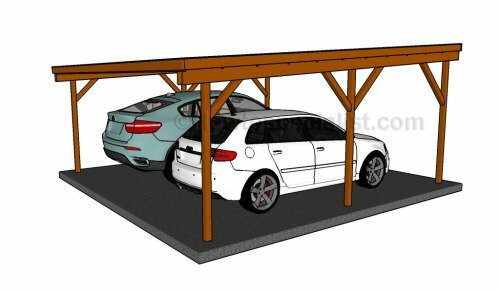 Keep your car out of the weather with these free plans for a carport. Much simpler to build than a garage, but still giving protection to your vehicles. I would suggest figuring out your needs before running out to buy your materials. You may need a taller carport than the one that was built in the plans. There is also the concern of how much land you have to build it on. Adjust the plans to suit your needs then update the them as needed. There are plenty of detailed diagrams to go along with the text of the plans. Ample tips are spread throughout to help make the build the best it can be. Protect your vehicles from what Mother Nature can throw at them and click the link below to get started.